Hardly any other hand-knotted rug is as appreciated as the Nain. 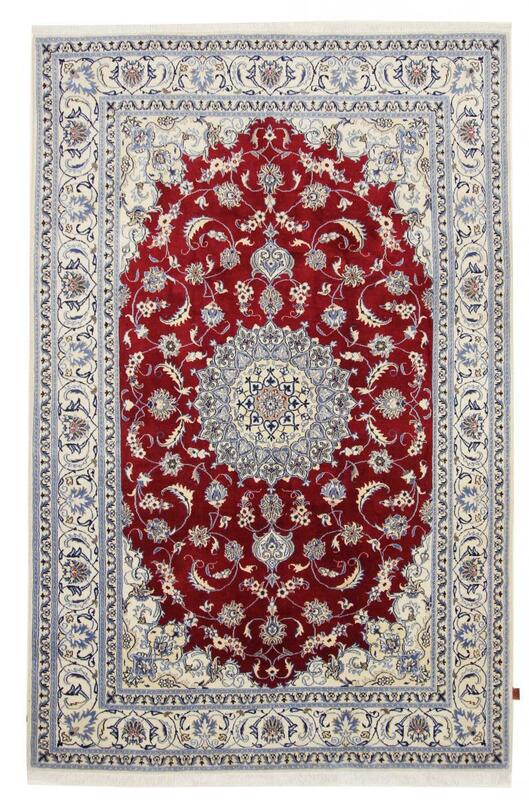 Nain carpets belong to the finest handicrafts of Iran. 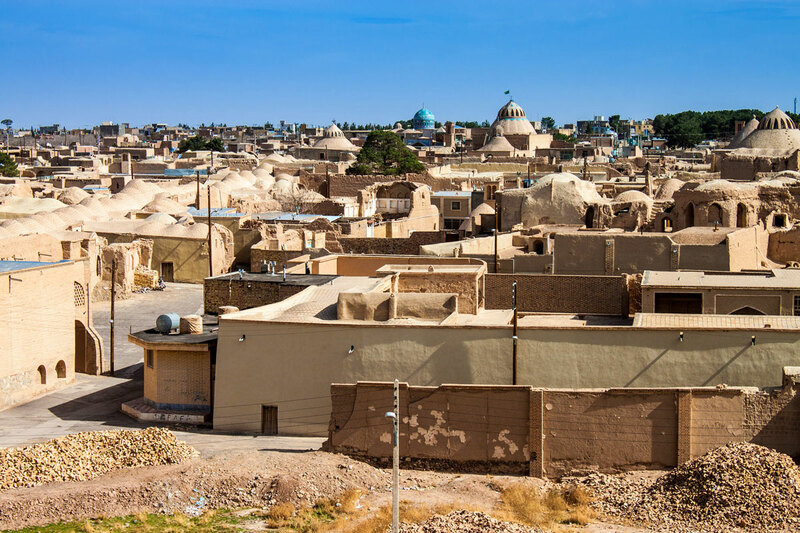 The city lies on the border of one of Iran's largest deserts, the Dasht-e-Kavir. Hardly anyone has not seen a Nain carpet at least on pictures. Carpets from Nain have their own categorization, which divides them into classes. Depending on the knotting density, a distinction is made between 4La, 6La, 9La and 12La. The following applies: the smaller the number, the higher the quality and more elaborate the carpet. A 4La has knotting densities of over one million knots per square metre and is therefore very interesting for collectors. 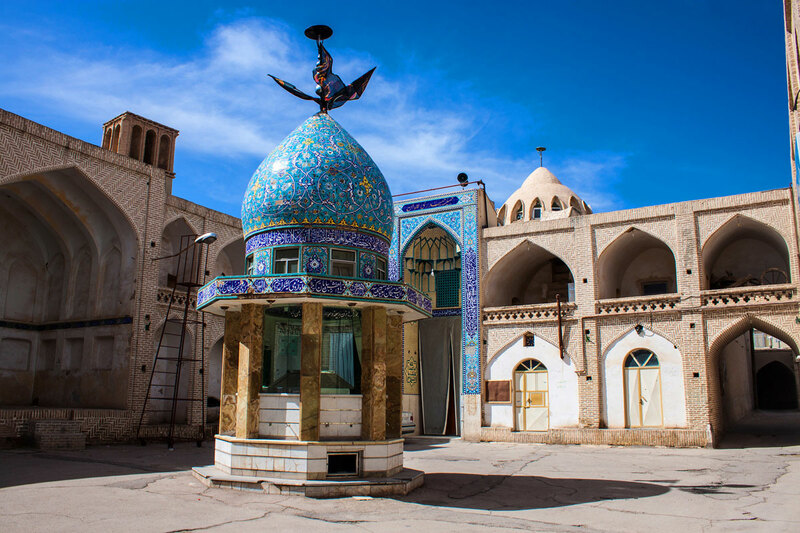 This class belongs with the Isfahan rugs to the finest Persian rugs at all. Such masterpieces are made over a period of one year by the most experienced weavers in the country. The density of the related knotting on the carpet fringes is controllable. If a fringe consists of about two threads, it is a 4La. Consists of but she's made of three, you've got a 6La in front of you. The excellent quality and the fine knotting make Nain rugs a highly sought-after piece of craftsmanship by rug connoisseurs. Traditional Nain patterns have a central medallion surrounded by floral patterns. Not to be denied is the resemblance to rugs from the nearby town of Isfahan. Typically Nain carpets are dyed red, blue or beige on the surface. Particularly fine Nain rugs are made entirely of silk. These silk carpets naturally have higher prices than those made of wool, for example. If you are looking for special luxury, you will find what you are looking for in Nain rugs. 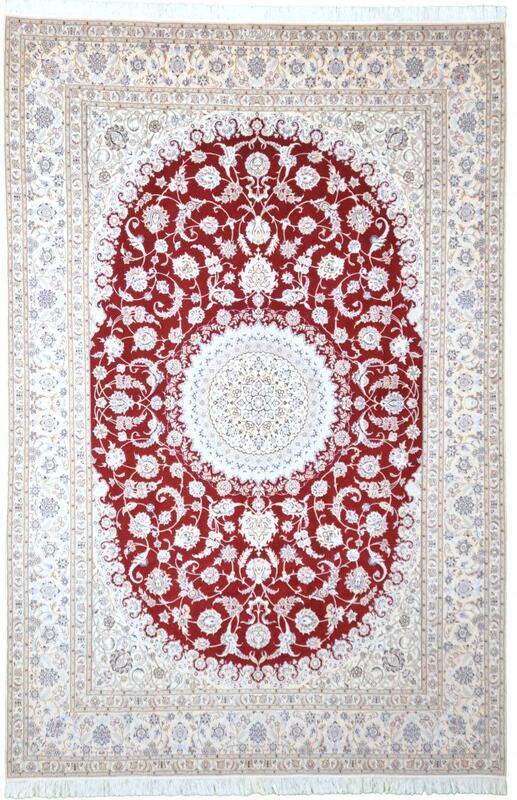 These rugs have been provided from an assortment of over 2.100 different Nain rugs by Nain Trading from Hamburg. Nain Trading is offering one of the largest assortments of handmade oriental carpets worldwide. Location - where is Nain (Naein) located? The city of origin of these famous carpets is in central Iran, not far from Isfahan.